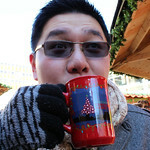 « [Christmas on VanFoodies] Counting Down with a Beer Advent Calendar! 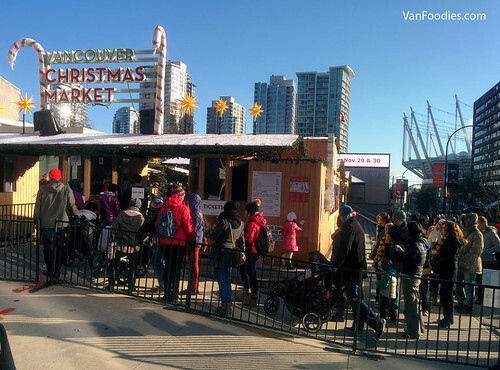 In recent years, it has become our Christmas tradition to visit the Vancouver Christmas Market. 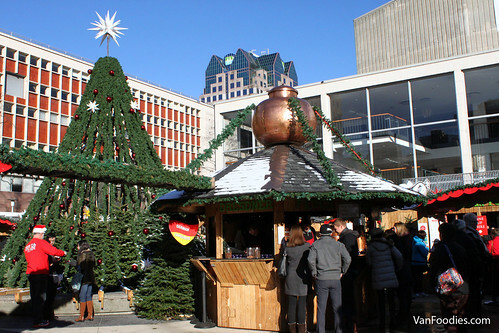 This year, the Vancouver Christmas Market is celebrating its 5th anniversary and of course we wouldn’t want to miss it! 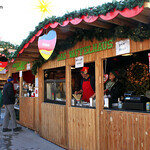 Vancouver Christmas Market was created to bring Vancouverites the experience of a German Christmas Market. 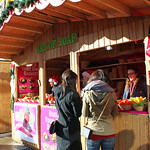 For the last five years, it has offered a mix of food, drinks, Christmas gift ideas, and fun for friends and families. 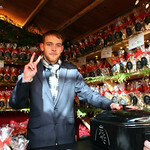 Grab yourself a souvenir mug and a cup of hot apple cider for the kids, or mulled wine for the adults. The aroma and flavours of cloves, star anise and cinnamon have holidays written all over the mug — and it keeps you warm on a cold chilly day/night! 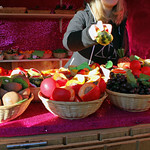 There is a good variety of food vendors this year. 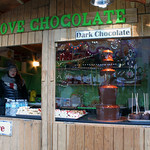 How about stick-style pastries or chocolate fountain? 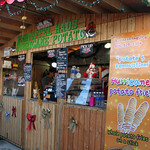 Waffle on a stick and hurricane potato were pretty popular too! 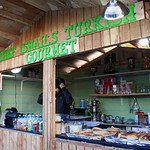 It was pretty cool to watch them make fresh Turkish pastries on-site! 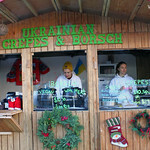 To this day, one of our favourite spots for food here is still Black Forest Delicatessen. 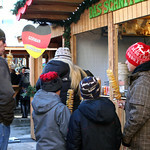 It sells a number of different sausages in sandwich style. 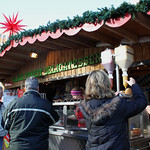 This year we went for something new, Weisswurst, which was a mix of pork and veal. 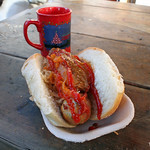 It had a much softer texture but the flavours were quite good. 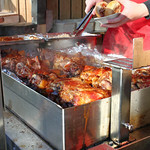 We also noticed that Black Forest sells pork hock at its booth too! 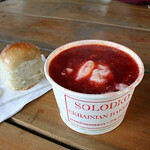 Another way to keep yourself warm is to grab a bowl of hot Ukrainian Borsch. 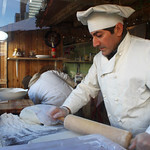 It comes with a bread roll that is slightly stickier but much tastier than normal bread roll – almost brioche like! 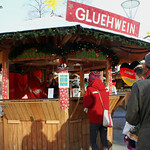 If you are looking for gift ideas, this would be a great place too. 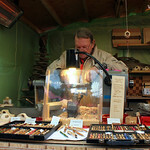 You would find hand-crafted wooden pens and other wooden goods, or Austrian artisan chocolates. 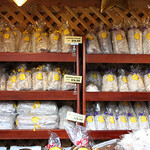 How about traditional German stollen bread or local honey? 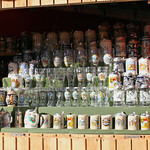 Or authentic German beer steins and soup made with real fruit! 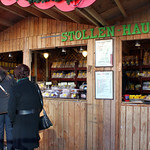 We also saw local wild mushroom products and authentic German candies from the Candy Meister. 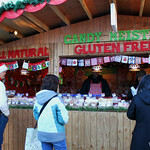 Still looking for ideas to decorate your home or Christmas tree? 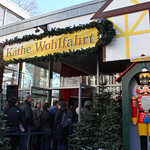 Käthe Wohlfahrt is Germany’s top Christmas ornament and decor company and they have a huge space at the Vancouver Christmas Market. 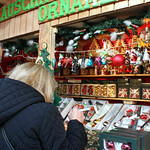 Or visit other vendors for Christmas decorations and tree ornaments. 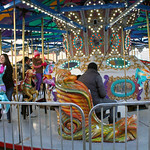 Don’t forget the carousel – and this is not just for kids! 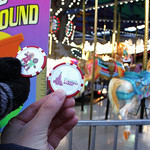 We hopped on a couple of the horses and enjoyed a merry-go-round! 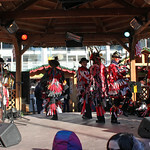 There is also live entertainment by different performer groups, bringing different cultures on stage. 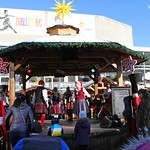 Overall, the Vancouver Christmas Market makes a great addition to the long line-up of Christmas festivities in Vancouver. It’s hard to believe that they’ve been around for five years already! 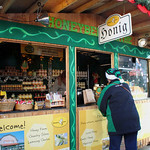 This year, with the purchase of each admission ticket you will receive a season pass, so you can have unlimited entry to the Market. 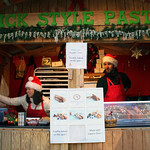 It’s open daily at 11am-9pm until December 24 (which closes at 6pm), so be sure to check it out! 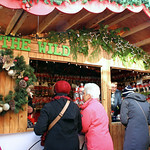 The Vanvouver Christmas Market looks amazing! The one we have in Toronto seems smaller. 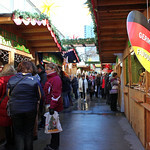 Love the Christmas Market (now if they could just have an Itailan Christmas Market sister site, then I think my holiday plans would be fully booked between the two). So nice that they’re giving out season passes this year! I love it! 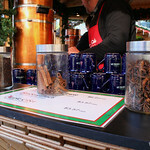 I went last weekend and had some mulled wine – okay, a lot of mulled wine – and some snacks and music. 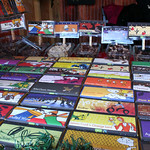 I’m going back for more later this week if it dries up a bit nits an awesome little market!